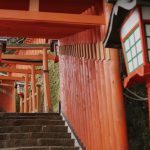 Shimane is a long narrow prefecture that not only stretches along the Sea of Japan, but also consists of the ridgelines that run up the Chugoku region like a spine. 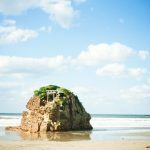 The West part of Shimane is called the Iwami region and it stretches from the mountain to the sea which gives is access to an abundant amount of nature with its unique local delicacies. 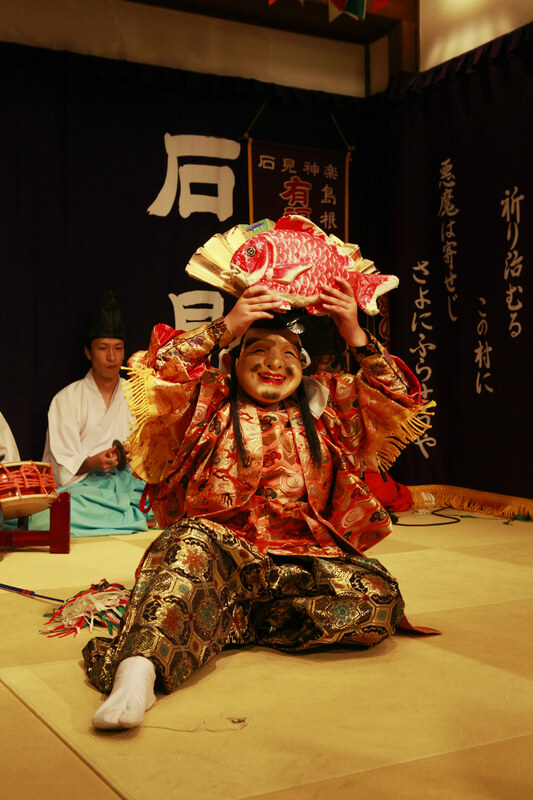 The Iwami region is most commonly associated with Iwami Kagura, which are Japanese folklore performances. The folklore performances date back to early days of Japan when they were used as Shinto rituals to entertain the gods. 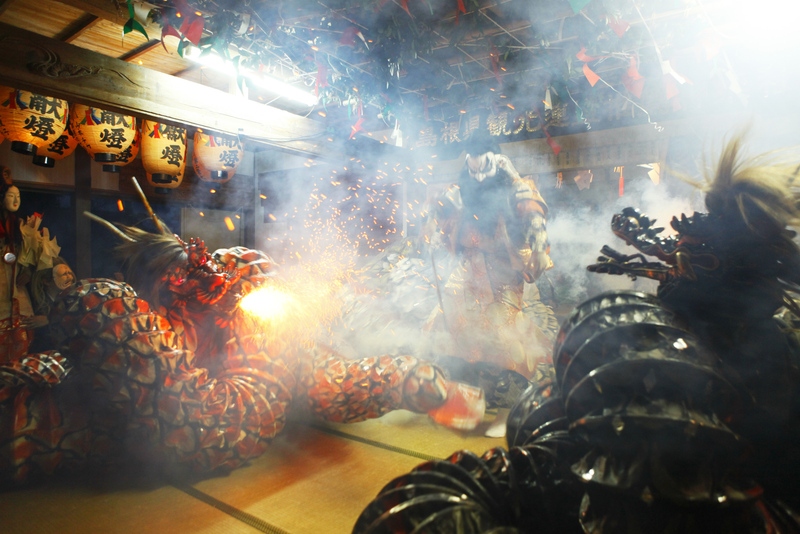 Due to the unique location of Iwami and the traditions that surround the region Iwami Kagura Meshi was born. 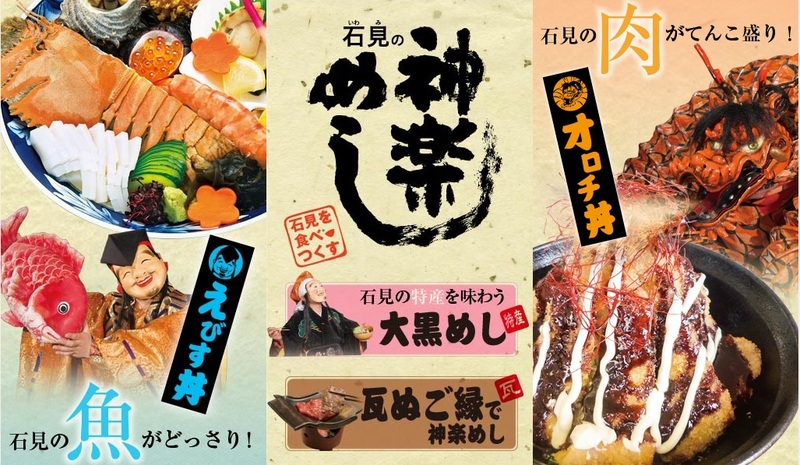 Iwami Kagura Meshi pays homage to two different performances with two different types of dishes. One consists of local meat that comes from the mountain/land, while the other consists of fresh seafood from the sea/ocean. One dish is called “Orochi don”, which is derived from the play “Orochi” that depicts a story of an eight headed snake fighting with a deity until its heads get cut off. 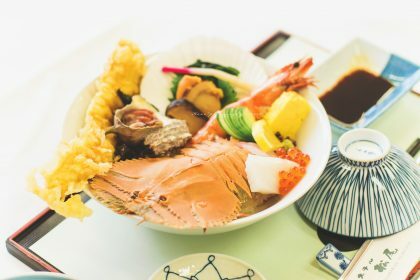 The other dish is called “Ebisu don”, which is derived from the play “Ebisu” that depicts the story of the deity fishing on the seashore for sea bream. 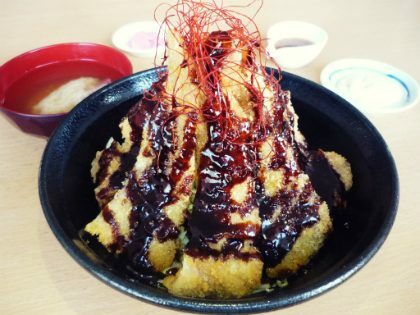 The “Orochi don” would be for meat lovers as it consists of local Japanese meat. Each place that serves it has their own take on it, so sometimes it might be local Japanese beef or local maru-hime-pork. Unfortunately, even though the play is about an eight headed snake there is no snake meat version. As the “Orochi don” is for meat lovers the “Ebisu don” is for lovers of seafood. 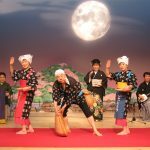 While in the play the fish that is caught is sea bream, the “Ebisu don” usually features a plethora of fresh seafood that can be locally caught in the Iwami region. 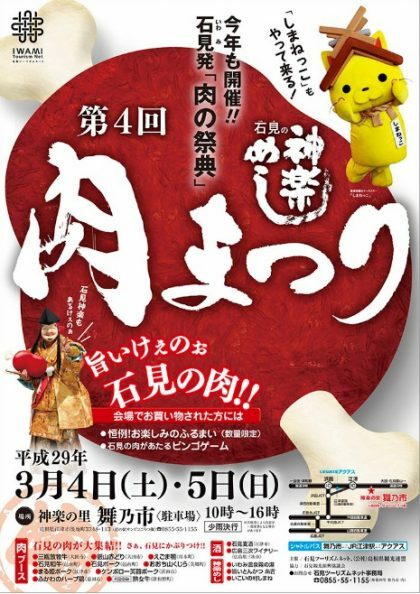 The Iwami region will be having their 4th “Niku Matsuri” or meat festival. 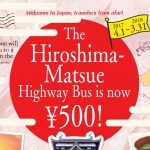 What: Festival bringing all the local meat of the Iwami region to once place for everyone to try. The meat will include Iwami Japanese-beef, maru-hime-pork, Ginzan aka-chicken, and many more. 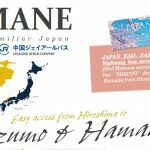 When: 3/4 (Sat) – 3/5 (Sun) 2017 10 a.m. – 4 p.m.
Discount for JAPAN RAIL PASS users!